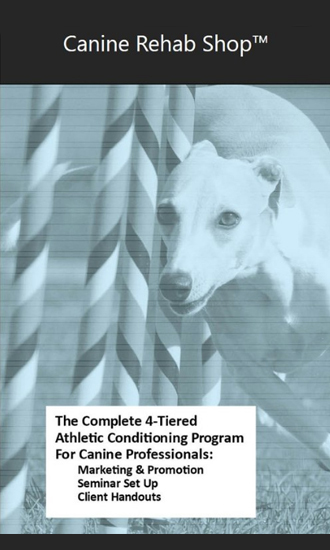 The Canine Rehab Library is the anthology of all Canine Rehab Shop clinical manuals and books as well as clinical and business content not available through any other resource. Additionally, few times a year new content is automatically added to the library at no additional cost to library members. 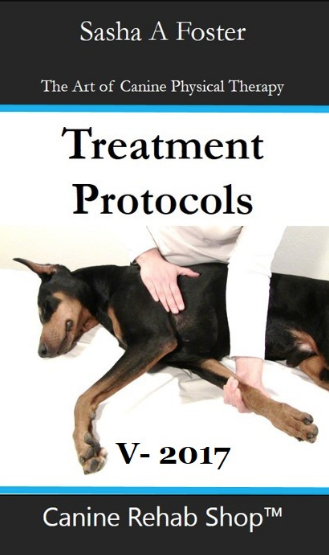 For example, in 2018 library additions included five new Treatment Protocols, five new mini e-books for fitness, and the marketing power point “This Old Dog Feels Good.” The goal of the Canine Rehab Library is to help new or growing rehab businesses thrive by supporting you with clinical content for rehabilitation and fitness, helping your client-focused marketing and public relations efforts and supporting your business development and growth by providing you with an automated pricing worksheet, documentation templates and evidence to share with referring DVMs. Simply scroll through this page to view all of the content in the Canine Rehab Library and look for DOWNLOAD SAMPLE to preview samples of what you will find in the Canine Rehab Shop Library. Bring performance clients to your clinic by having athletic conditioning seminars. The Complete Athletic Conditioning Program includes five pre-made two-hour seminars - 30 minutes of didactic Power Point presentation, 60 minutes of exercises and 30 minutes of cool down stretches. 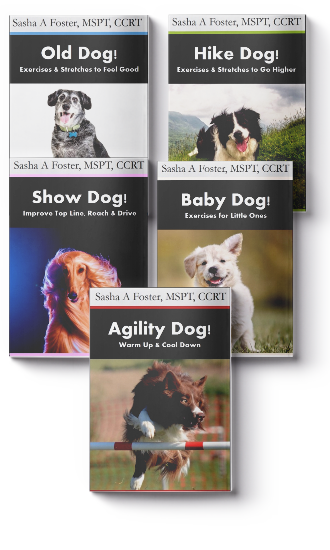 Based on the books The Healthy Way to Stretch Your Dog & Canine Cross Training, the program is designed to teach four levels of exercises so novice to advanced students can be in the same class. Increase income by selling books and fitness equipment at the seminar. “This Old Dog Feels Good!” is a 20 slide modifiable Power Point presentation. Function-based, it describes common functional limitations seen in geriatric patients and then shows videos of common rehabilitation treatments for the dysfunctions including modalities, manual therapies and therapeutic exercises. Designed to be used with both client and professional audiences. Videos in this presentation are from Canine Home Exercises, video-based templates & customized programs. If you subscribe to this service, this presentation introduces your referral base to the quality of your home exercise plans. All documentation is provided in word files that can be easily modified and converted into formats that can be uploaded into most clinic software systems.